Hepatitis C infection in liver cirrhosis patients can be cured with investigational oral therapy. An advanced form of liver disease, cirrhosis can be caused by hepatitis C infection, alcoholism, autoimmune disease, and other strains of hepatitis, among other causes. Hepatitis C attacks the liver, leading to the formation of scar tissue. In its early stages, damage caused by hepatitis C to the liver is referred to as fibrosis. As liver damage progresses, the damage becomes irreversible and is known as cirrhosis. Roughly five to 20 percent of hepatitis C patients will go on to develop cirrhosis of the liver within a 20- to 30-year time span. Currently, the only treatment for cirrhosis of the liver is a liver transplant. A 12-week investigational study of an oral therapy showed promise in curing hepatitis C in patients with cirrhosis of the liver. This investigational oral therapy was well tolerated by patients. Previously, the only agent that was shown to improve hepatitis C was interferon, but unfortunately patients experienced relapses and unwanted side effects. The new agent is interferon-free and consists of ABT-450/ritonavir, ombitasvir, dasabuvir, and ribavirin. After 12 weeks of receiving the last dosage, the researchers did not detect any hepatitis C in the blood of 91.8 percent of the patients. Of the patients treated for 24 weeks, 95.9 percent were virus-free 12 weeks after the end of the therapy. Ascites, which is bloating from fluid buildup in the abdomen. Hepatic encephalopathy (HE), a brain disorder that develops when the liver is unable to remove ammonia and other toxins from the body. HE may cause impaired concentration, sleep disturbances, confusion, or coma. Spontaneous bacterial peritonitis, which is associated with ascites, an infection of the membrane covering the abdominal organs. Variceal hemorrhage, a severe bleeding from enlarged veins in the esophagus and upper stomach. If caught early, cirrhosis is treatable. Typically, in order to best treat cirrhosis, the cause of the condition must be addressed. This can refer to treating hepatitis, cutting alcohol or drug use, or treating a parasite. Cirrhosis is not inevitable, and you can take some steps to protect your liver and thus prevent cirrhosis. Choose a healthy diet to promote liver function: Steer clear of fatty, fried foods and stick with fruits, vegetables, and lean meats. Note that red meat takes longer to break down in the liver. 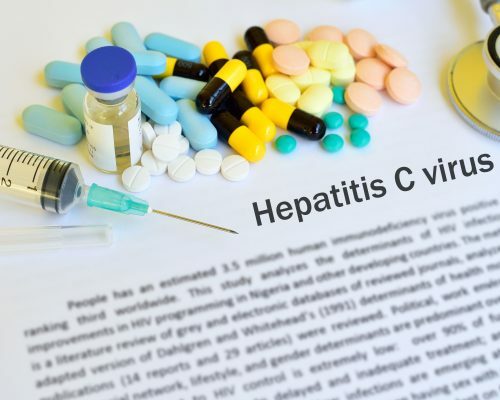 Hepatitis C treatment depends on the extent of the liver damage, other co-existing health conditions, the amount of virus circulating in the body, and the type of hepatitis C. There are medications available for hepatitis C, but these can yield unwanted side effects. Combinations of antiviral medications offer the greatest success. Working with your doctor can help you choose the best mode of treatment.